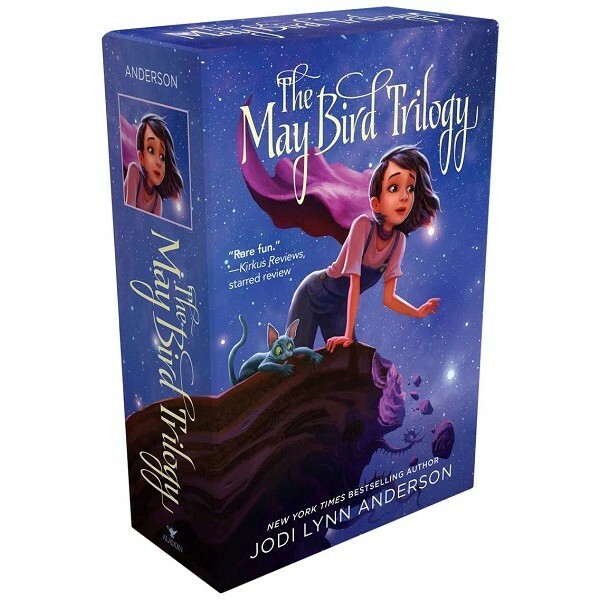 Journey to the Ever After with the fantastical and otherworldly May Bird trilogy from New York Times bestselling author Jodi Lynn Anderson, now available in a collectible boxed set! 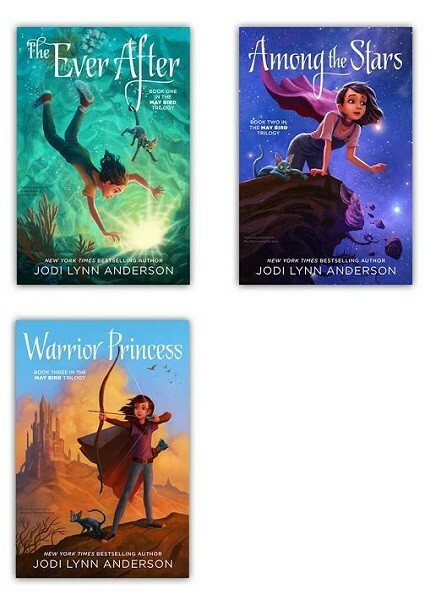 When May Bird and her faithful companion, Somber Kitty, encounter the ghostly world of the Ever After, their (after)lives will change forever. 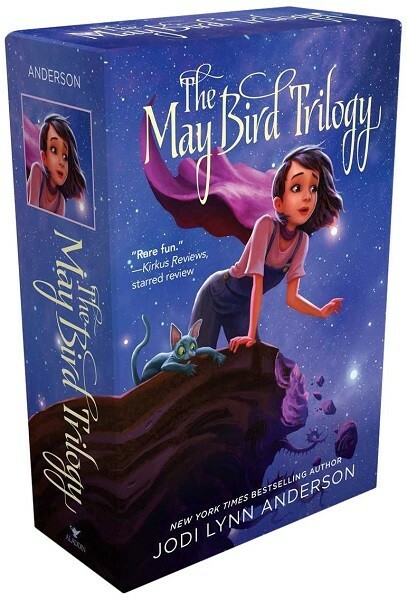 This collectible boxed set includes paperback editions of: The Ever After, in which shy, precocious May Bird falls through a lake into the Ever After, a world of ghosts, and gathers an unusual group of new friends who join together to overcome the chillingly evil Bo Cleevil and find their way home; Among the Stars, which sees May Bird continue her adventure through the Ever After and learns that the only way home is through the evil Bogey's personal portal, which he uses to scare kids in their nightmares; and Warrior Princess which sees thirteen-year-old May, now home in Briery Swamp, still haunted by thoughts of the friends she left behind in the Ever After -- and finally ready to live up to the prophecy that placed the fate of the Ever After in her hands, and battle Bo Cleevil himself to save not only this world but her own as well.